PROVIDED PHOTO Urban planners need to encourage residents to walk and bike more and drive less, says Gil Penalosa. 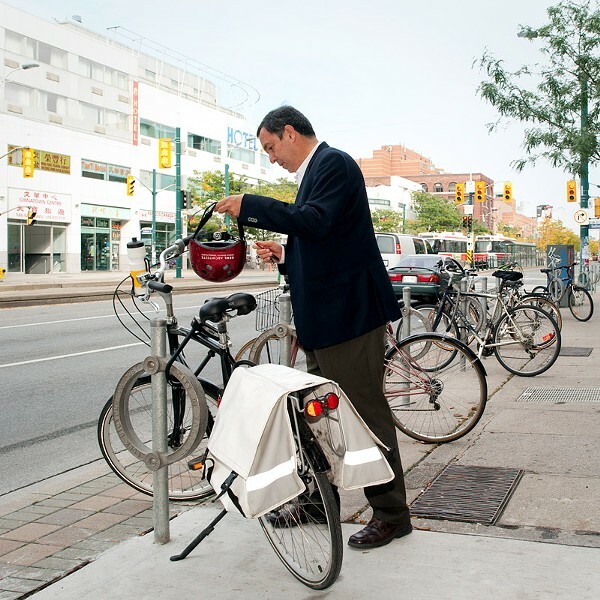 PROVIDED PHOTO Gil Penalosa is founder of Toronto-based 8 80 Cities. During the last 20 years, marketers of nearly every product and service have put a lot of emphasis on reaching the youth market. That's important, but when it comes to development and revitalizing cities, it's the wrong approach and it will have lasting negative consequences, says Gil Penalosa founder of 8 80 Cities and president of Gil Penalosa and Associates, an urban-planning consulting firm. "We need to stop building cities for people who are 30 and athletic," Penalosa says. If city planners pay more attention to creating environments that excite and meet the needs of people who are 8 years old and 80 years old instead, they will also create an environment that meets the needs of everyone, Penalosa says. Penalosa has advised officials in more than 350 cities around the world concerning his 8 80 Cities concept. He'll be speaking in Rochester on Wednesday, January 30, at the Gleason Works Auditorium, 1000 University Avenue, at 7 p.m. The event is part of Community Design Center Rochester's Reshaping Rochester lecture series, and it's free and open to the public. "I've been looking at this for some time now," Penalosa says, "and I can tell you that people are remarkably similar no matter where you go," he says. "The weather is different, the cultures are different, but people are very much the same." And one of the biggest similarities he finds is that in most countries people are living much longer, and the cities they're living in are not prepared for it. "The average age of an adult in the US 100 years ago was around 39 or 40, but more children born in the US today will live to see 100 than anyone imagined possible even 50 years ago," Penalosa says. "But a concern for a lot of mayors is, 'We have so many old people.' I tell them, 'That's not your problem.'" 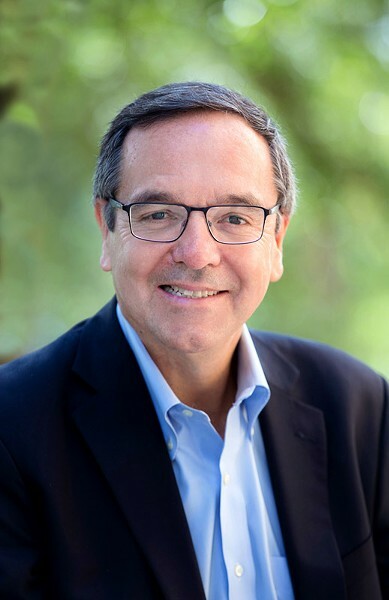 When Penalosa is asked to evaluate the needs of a city, he says he starts by looking at how that city treats its most vulnerable: young children, the elderly, and the poor. "The public sector has to be their guardian angel," he says. It's hard to address the needs of the most vulnerable citizens without first looking at access and mobility, Penalosa says. Instead of accommodating more cars on the road, urban planners should concentrate on looking for ways to get people outside and active, he says. Walking, biking, and taking public transit for longer distances has been relegated to the lower economic class in the US and Canada, he says. "And developing countries like China, Brazil, and Mexico are following the US devotion to cars and making the same mistake," Penalosa says. "We should want our children to walk to school as much as possible and should want our older adults to be able to cross the street safely. We need to educate the public into thinking more like the people in Denmark. Every trip doesn't require a car." For Penalosa, the 8 80 Cities concept addresses multiple issues: physical health, mental health, preservation of the natural environment, and climate change. There are some great neighborhoods in every city, he says, but the best examples of 8 80 cities in the US are Boulder, Colorado, Portland, Oregon, and New York City. They haven't made the automobile their main priority, he says. Portland and New York City have done a good job of creating interconnectedness with their parks and public spaces, he says. They don't just maintain their parks, they manage them as if they were community centers with multiple uses, he says. Toronto, where Penalosa lives, is good, he says. "But there's more we could do to become a great city for everyone." Penalosa tells urban planners and city officials to look at what he considers low-hanging fruit before investing in huge projects. Consider small changes and adaptations first that aren't terribly expensive and enable people of every age to be as mobile as possible. For instance, many crosswalks don't give older adults enough time to cross the street safely. The priority for city officials too often is to keep the car traffic moving. In Toronto, Penalosa says, many people are hit by cars while walking or biking because too many of the intersections were not designed to be safe for children and older adults. The priority was the driver and the car. "We should be lowering the speed limits and putting in better crosswalks with longer lights and leaving enough time for people to cross," he says. "If the streets are wide, they need to have islands in the middle where people can stop without fear." Another concern for Penalosa is the tendency of some city officials to remove benches from city streets or place them primarily in parks located near wealthier neighborhoods. "I was in the downtown of a midwest city not long ago," he says, "and I walked eight or so blocks and didn't see a single bench. When I asked how come there are no benches, the official I was with told me that they removed them because they attract the homeless." That not only hurts the homeless, it also deters older adults and families with children from walking. The Open Streets Project, a collaboration between 8 80 and Miami-based Street Plans, has become popular in cities around the world. And it's a simple and inexpensive way to get the public accustomed to looking at streets and roads as something more than a place for cars, he says. With Open Streets, miles of streets that go through downtown areas as well as neighborhoods are closed off from vehicle traffic for the day so residents have unencumbered access to them. They become a pop-up promenade. Open Streets can be an annual or monthly event, says Penalosa. "Instead of being in a car, people are walking, skating, biking, and talking to people from neighborhoods that they only pass through on their way to somewhere else," Penalosa says. "It's a social experience that anyone of any age and any mobility can do." Open Streets also shows people that the largest use of public space in just about any city is its streets and highways, Penalosa says. Most cities can always do with more green space, and Open Streets perfectly illustrates that once green space is lost, it's extremely difficult to reclaim it for public use, he says. While people in the US might think of Open Streets events being held only in warm weather, they don't have to be. And, he says, northeastern cities like Rochester have to put more emphasis on clearing streets and sidewalks of snow and ice during the winter months. And he doesn't think the job should be left to businesses and homeowners, because when sidewalks are not properly cleared, people will walk in the streets where it isn't safe. And they won't walk to the neighborhood store or restaurant. They'll drive to the strip mall instead, he says. "Minneapolis has some of the best sidewalks and trails I've seen," Penalosa says. "They're always cleared so you can run, walk, or bike, and they're used all the time." The lack of attention to things like clearing sidewalks during winter is part of a larger problem, Penalosa says. Some cities have capitulated to an anti-winter mindset, he says. They jam their summer months with festivals, but they should consider creating a few events during the winter months. For instance, some cold-climate cities have ice sculpture competitions similar to the way some beach cities have sand sculpture competitions. "We need to be a lot smarter about how we use public space," he says. "We really need to be thinking more in terms of multi-use of that space for different age groups. This is not the time for complacency."